Bottom pivot assemblies for use with Adams Rite ARC-51 and DC51 floor springs. 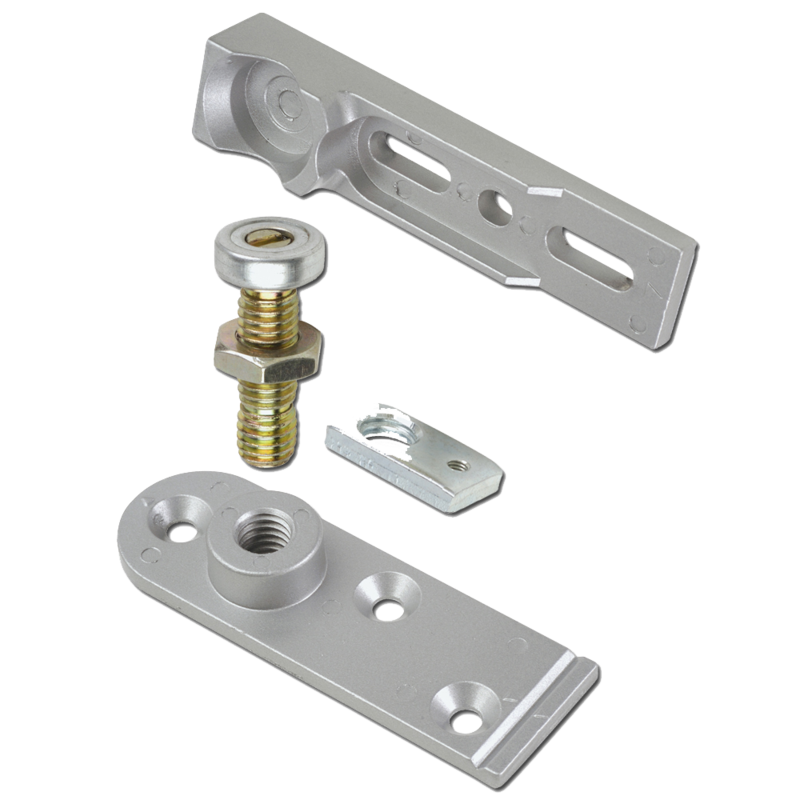 Transom closer F brackets and L bracket kits to suit Adams Rite ARC-51 and DC51 floor springs. 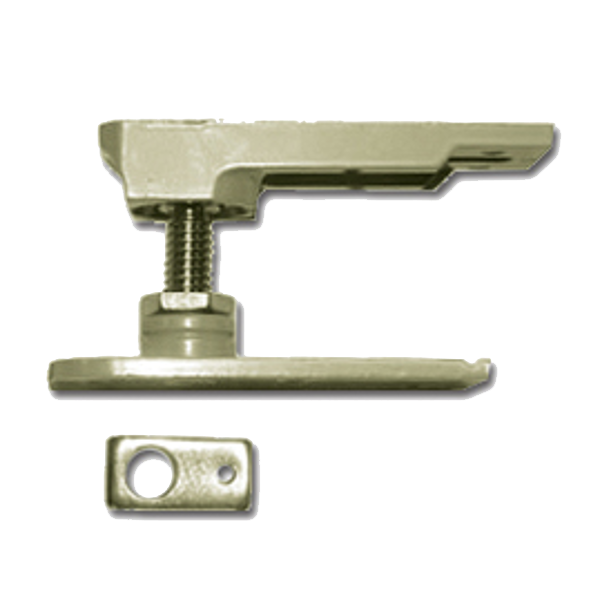 Transom closer side & end arms to suit Adams Rite ARC-51 and DC51 floor springs. 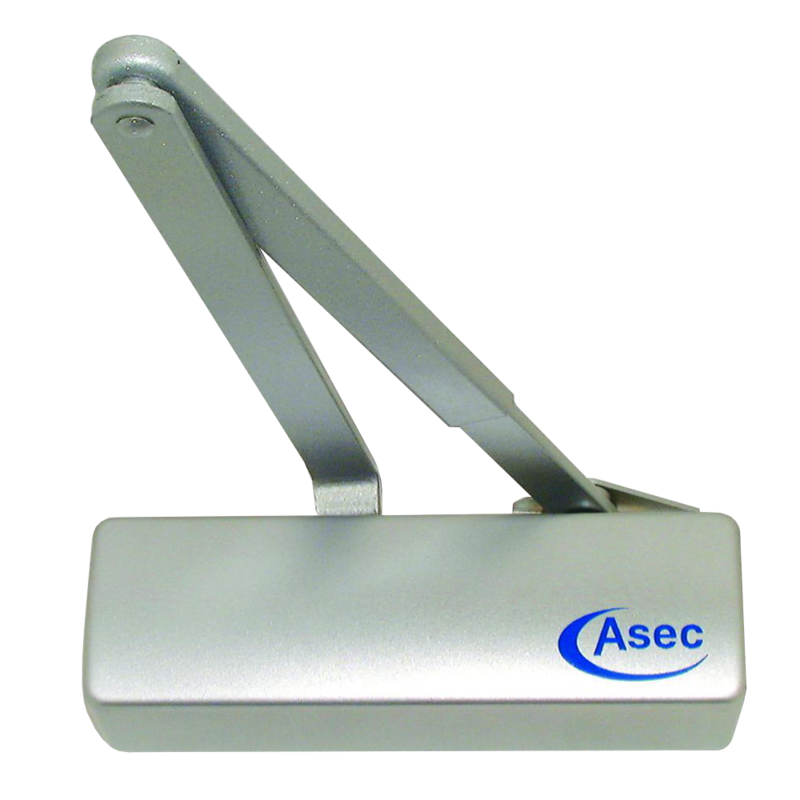 This variable spring transom closer is designed for use on aluminium doors and has the same footprint as the Adams Rite ARC-51N however can be adjusted to suit each opening ensuring the door closes correctly while keeping the opening force down to a minimum. 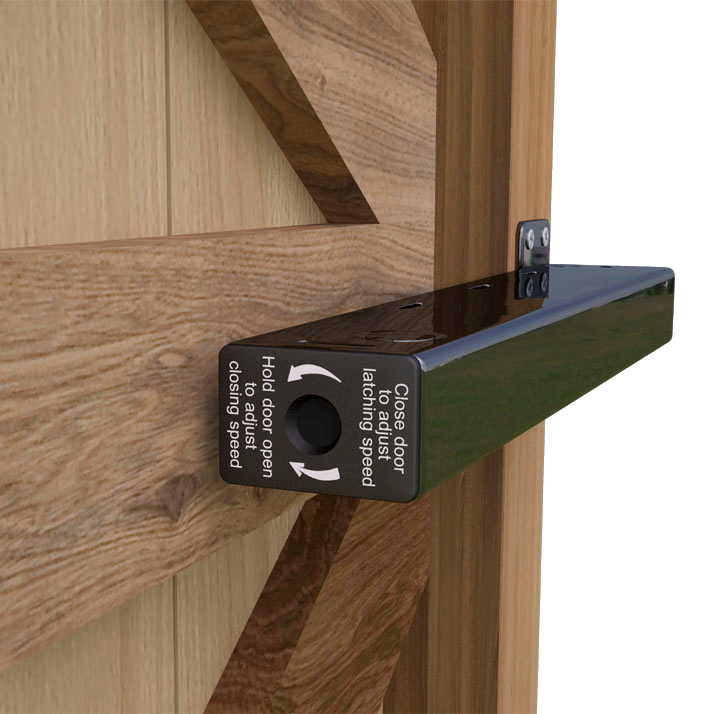 The Agrippa door closer by Geofire learns the sound of your specific fire alarm, releasing the door in the event of a fire. 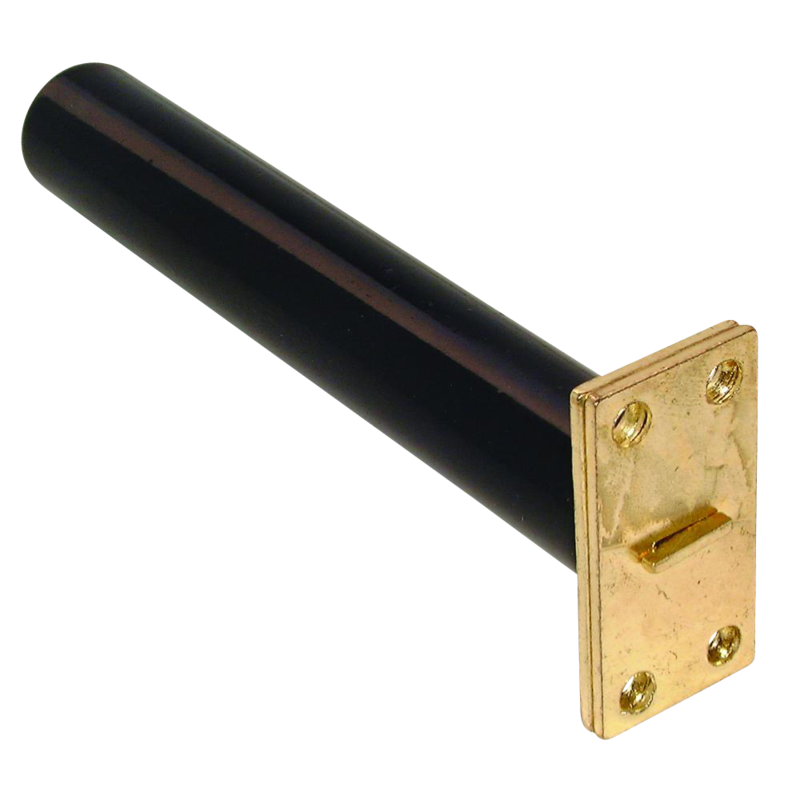 This new innovation in the industry is also wire free, so it can easily be retrofitted to any door. 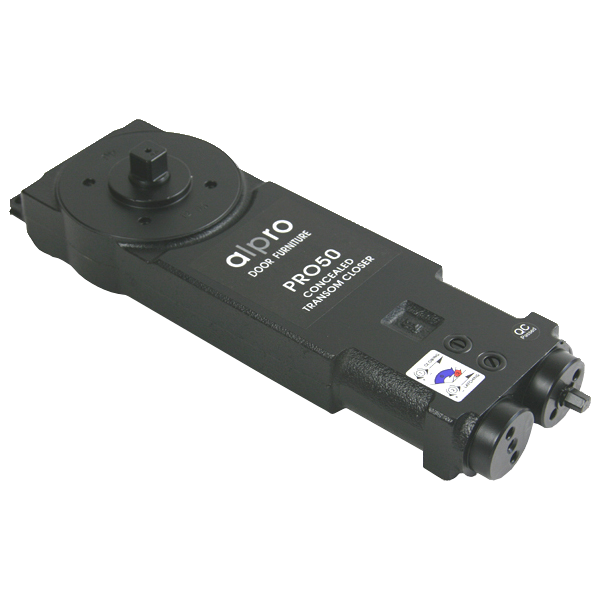 The releasing trigger reacts to a particular sound rather than simply a loud noise, significantly reducing false activations. 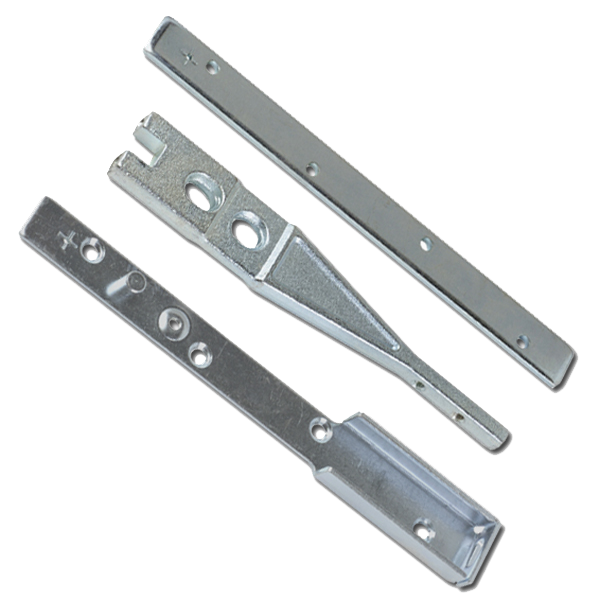 It is ideally suited to environments such as care homes, schools and hospitals where it is essential to have doors in an open position at certain times of the day to aid access, but equally as important to ensure the doors are closed in the event of a fire. 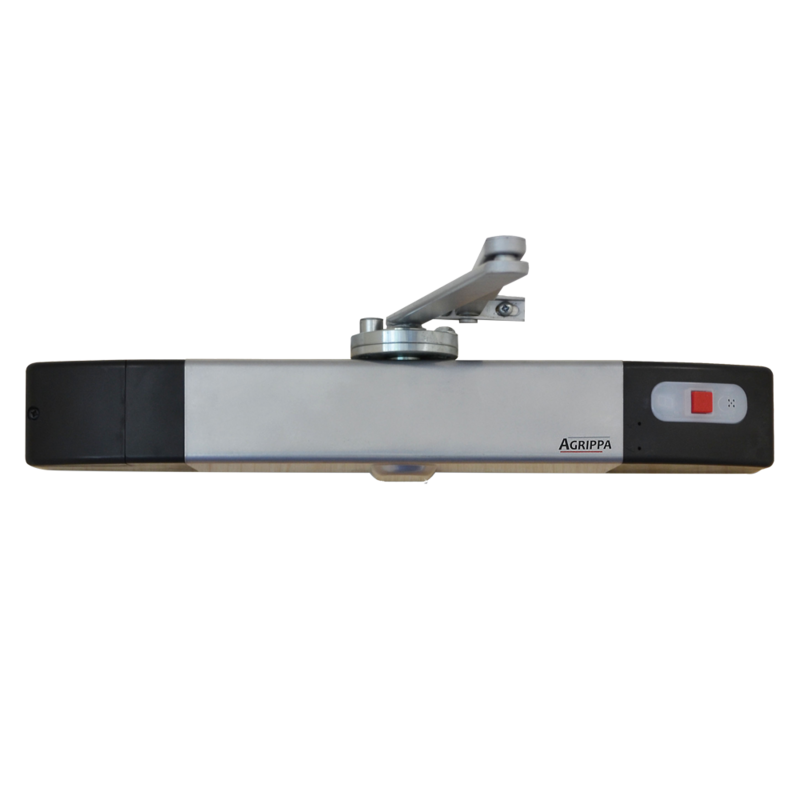 The Agrippa Fire Door Closer features the `free swing mode` which allows the door to be held open in any position. 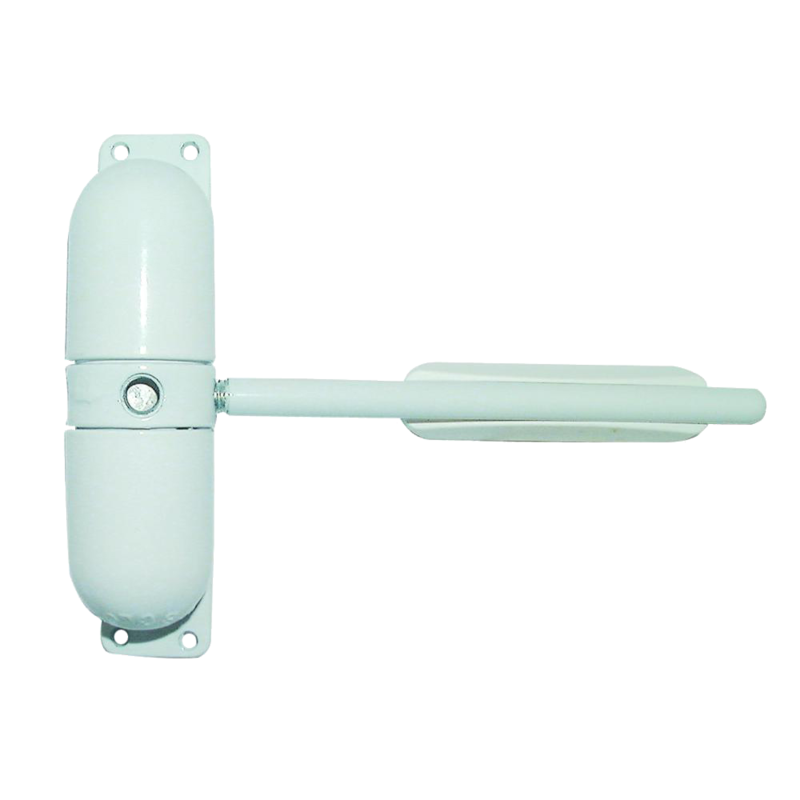 The special feature of the Agrippa, however, is that it uses Geofire’s `Listen and Learn` technology, meaning this product is able to recognise the sound of your building’s fire alarm. 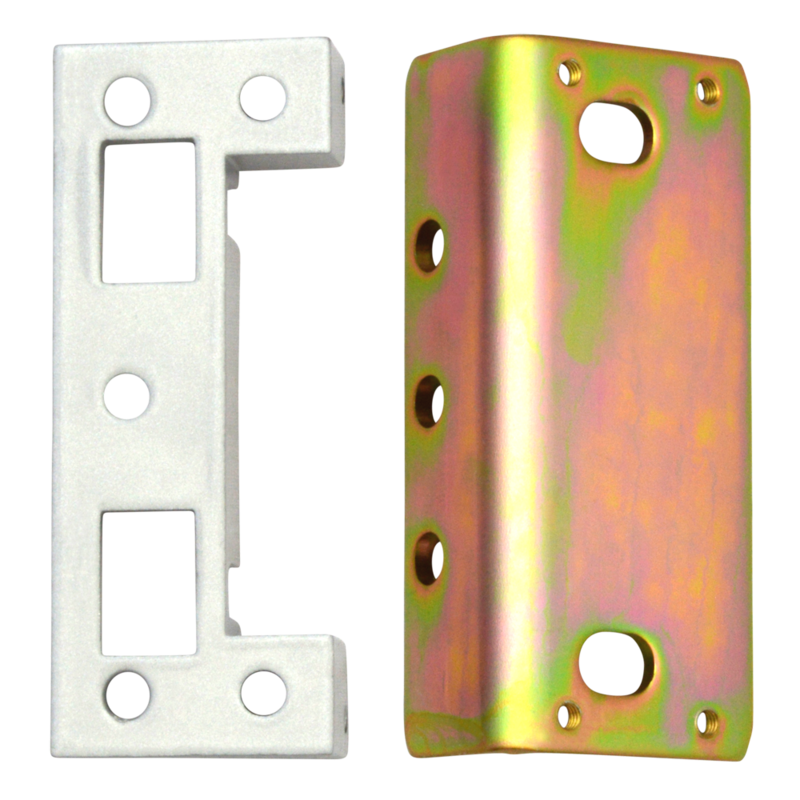 This sound triggers the automatic release of the door, keeping the building safe by preventing the spread of fire. 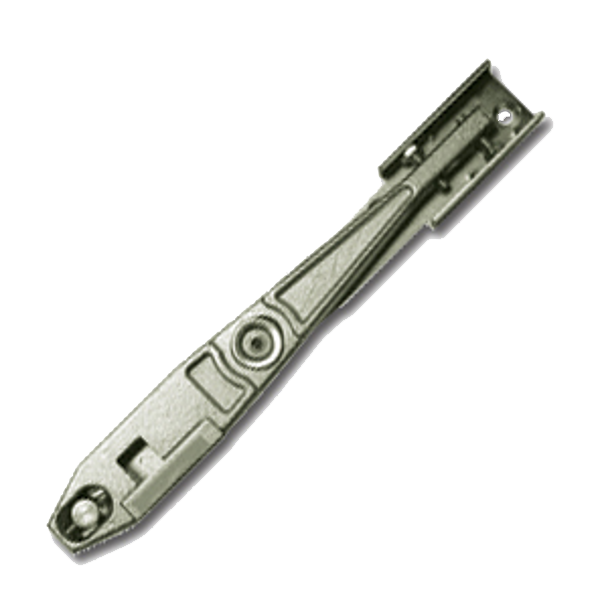 This item is CE marked and EMC approved, as well as conforming to EN1155 and EN1154. 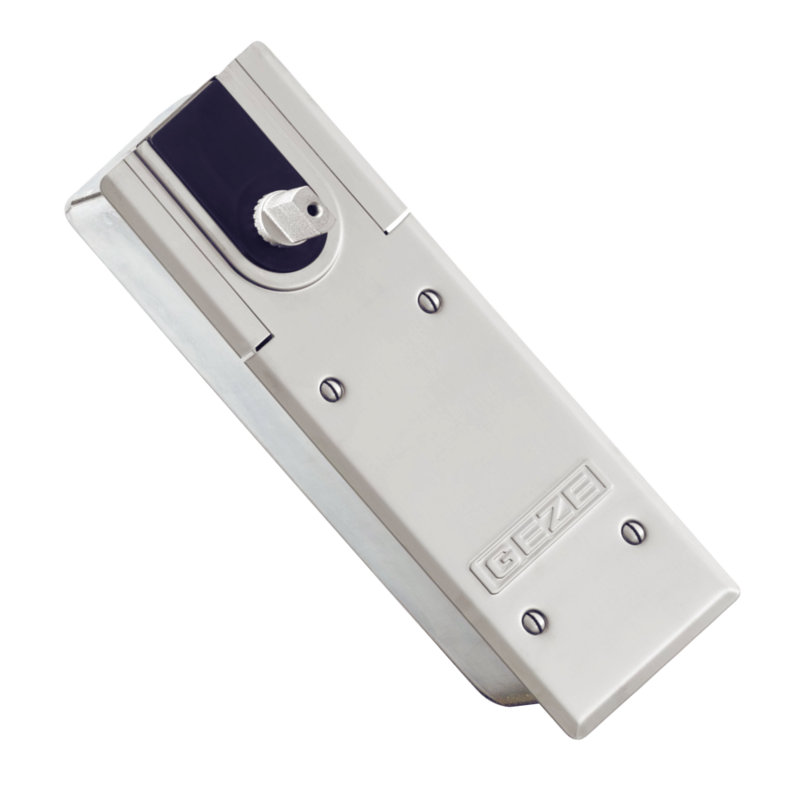 The closer is easy to install, only requires C cell batteries (which last for 12 months), can be programmed for daily release and has adjustable closing speeds. 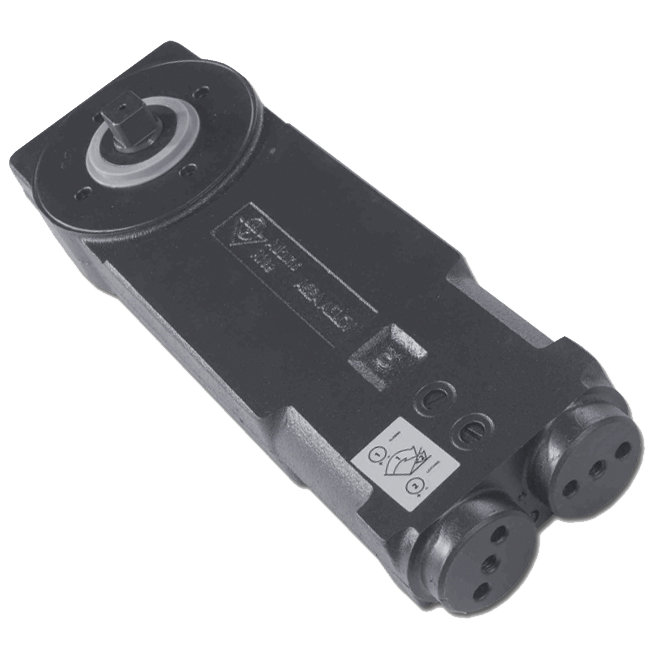 Suitable for installation to BS 7273-4 Standard Actuation (Category B). Other features include a seven segment LED display, manual release button and a low battery warning display. 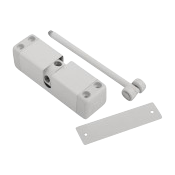 Alpro arm assemblies to suit the PRO50 range of transom door closers. 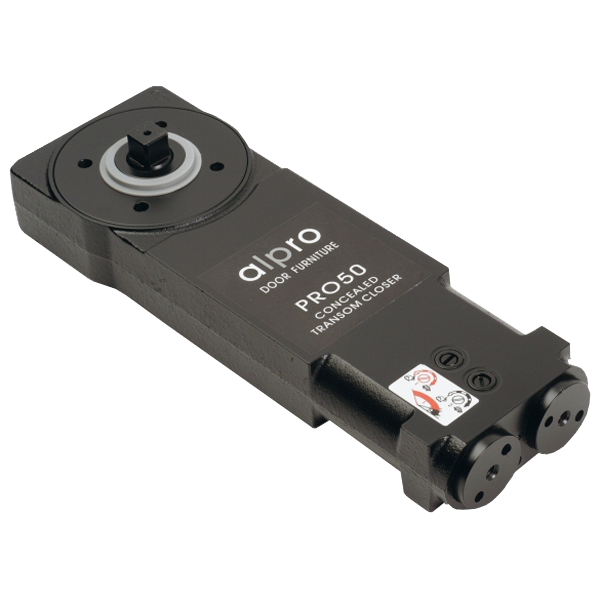 Alpro pivots to suit the PRO50 range of transom door closers. 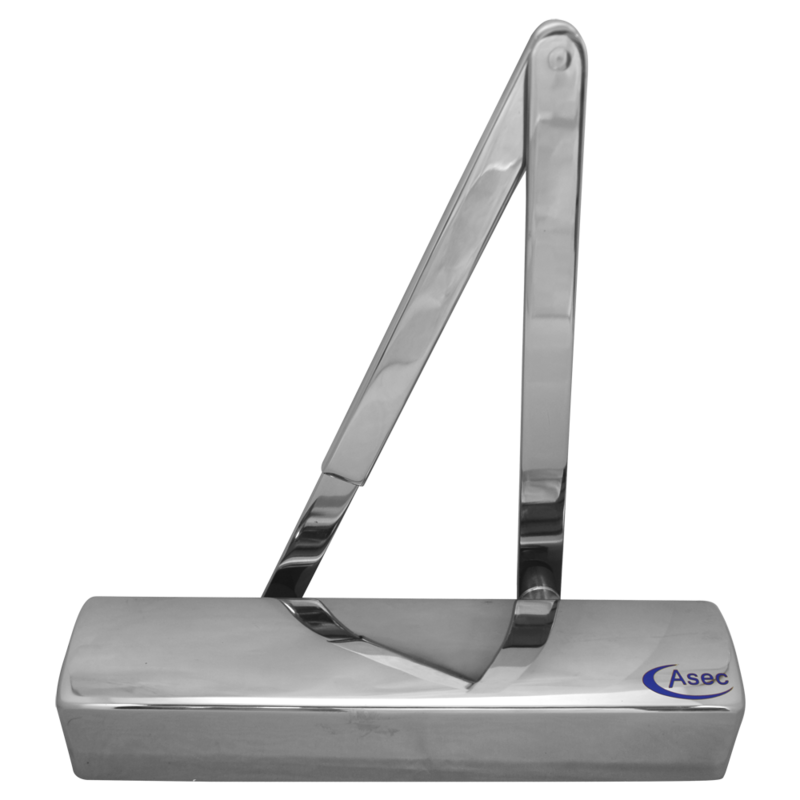 A perfect door closer for the majority of applications including fire doors.